Star Wars: Kenobi production notes online -- and a paperback release date! Longtime readers of this website know that I maintain — or try to maintain — a notes page with trivia and production insights on every work I've written. That extends to all my comic books, prose, games, and non-fiction works. 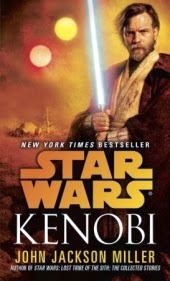 Some of the longer works have quite extensive ones — and now, at last, I can announce that the notes for Star Wars: Kenobi are now online. Click here to read them. It is the longest notes section I've ever done and will likely never do one again this long; Kenobi is unique in my list for having taken so many years to reach readers, and so it has an interesting story or two behind it. 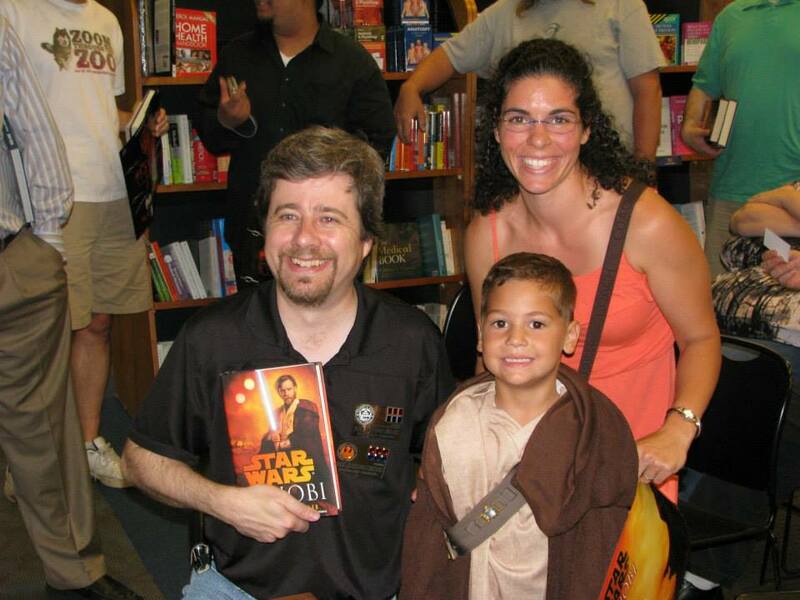 Find out about how "The Kenobi Kid" (never the real title!) was sent to the sidelines by Indiana Jones; how "Monkey Jabba" made his appearance; and answers to some frequently asked questions, including ones posted earlier this year to the site. 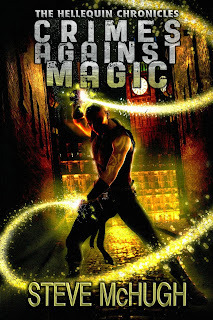 As I always do, I caution readers who have not read the book against reading it: I try not to give away too many secrets, but it's impossible to discuss the evolution of some scenes without mentioning the scenes. Go read the book — it'll be here when you get back! 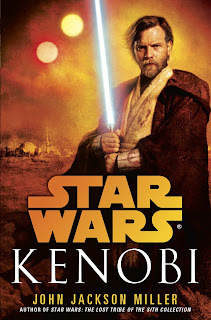 Some news, as well: It may be tentative, but it's on both Amazon and the Random House site that the Kenobi mass-market paperback has been tentatively slated for July 1, 2014, and can be preordered now. I, of course, think you should want the spiffy hardcover as well, since it's available now — oh, heck, buy both! If you want to be alerted to releases like this when I get word of them — and also get a heads-up when I add content to the site here — please sign up for my newsletter using the form at upper left. I haven't ever done a newsletter before and can't say how often I'll do it, but when there's news, there'll be a newsletter, I'd imagine! Simply log into Paypal, click "Make a Payment," and enter the following address to send money to, along with a note about what you're ordering and any personalization instructions to me at the address at left. Supplies are, as they say, limited! And I don't have any for signing as yet, but don't forget that on Wednesday, the Knights of the Old Republic Omnibus Vol. 2 arrives in comics shops. Check it out! Finally, repeating Friday's news for Amazon Local users: my Overdraft: The Orion Offensive is one of 100 books that's available for 99 cents through January 9 with a coupon available through your Amazon Local app. The voucher must be clicked on by December 19 in order to apply it to your account; thereafter, the discount will be automatically applied to purchases until Jan. 9, as I understand it. The list of books in the program is here. 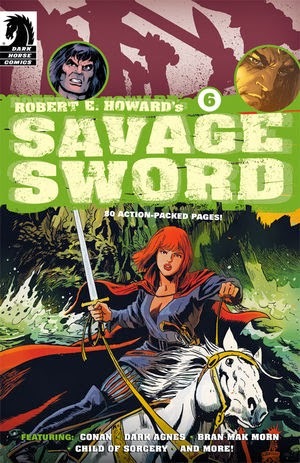 Publication day for me, and I travel to a different sandbox — so to speak — with a desert tale of the Hyborian Age: my first Conan story, in Dark Horse's Robert E. Howard's Savage Sword #6! "Sargasso of Sand" reteams me with Philip Tan, my artist on Iron Man #79-82, and it's a fun story of mythical mystery as Conan encounters a sailing ship situated far in the desert, a long way from any sea. It's my first toe in the water — er, sand — of Conan's world, but it was a lot of fun — and it gave me a chance to flex some different mental muscles. 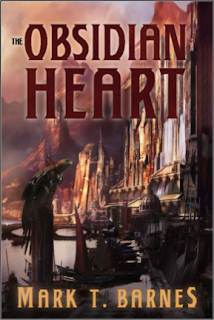 I haven't written much pure fantasy lately, but I'm expecting to try more. I have also completed the production notes for Overdraft: The Orion Offensive, including trivia and notes for all eight serial episodes. 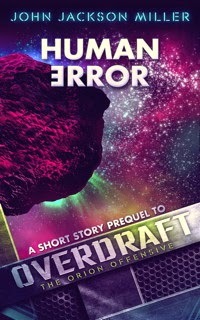 And to celebrate, I have a special going on at Amazon: "Human Error," the prequel short story to Overdraft, is free through Friday, Nov. 29! 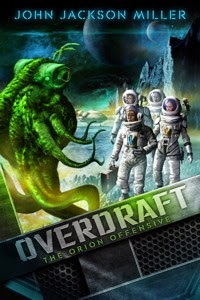 You can find Overdraft: The Orion Offensive in ebook form at Amazon, get the physical book at Amazon, Barnes & Noble, and Books-a-Million's websites. You can also order the audiobook. I have also brought up to date the Overdraft Glossary and the Overdraft Timeline. 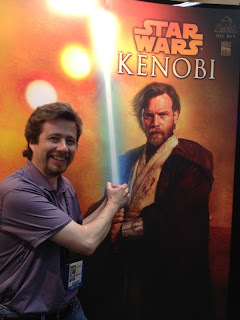 I have a few blog posts up around the world: I speak about "The Evolution of Obi-Wan Kenobi" on the Kindlepost Blog, and I pay a return trip to Mark T. Barnes' blog with a guest post on one of my favorite writing themes. Next up for the website will be the much-anticipated Kenobi notes, as soon as I finish them. Cross your fingers! 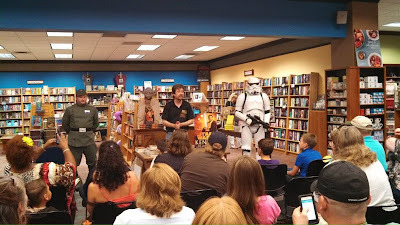 It's been incredibly busy this past month: I had Star Wars Reads Day followed by New York Comic Con followed by a great signing at Powers Comics in Green Bay, followed by my appearance at the big Star Wars event at the Kanawha Public Library in Charleston, W. Va. Whew! 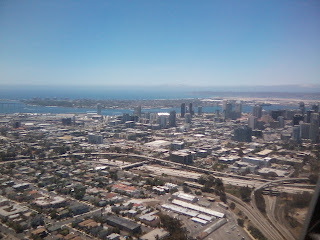 Last weekend was the first time I saw my house — but I'm off again this weekend, to my first WindyCon in Chicago. Saturday, 12-1: The 50th Anniversary of Doctor Who. With Rachel Esler, Michael David Thomas, and Michi Trota. Lilac C room. Saturday, 1-2: Autographing session. At the signing table. Sunday, 12-1: John Jackson Miller reading. I'll be talking about my works to date in 2013, Star Wars: Kenobi, and my upcoming 2014 Star Trek project, Absent Enemies. Boardroom. Sunday, 1-2: Superman at 75. With Carol Mitchell and Tom Trumpinski. Lilac C room. WindyCon is being held in the Lombard suburb, in the Westin Lombard Yorktown Center. Looking forward to seeing everyone there! 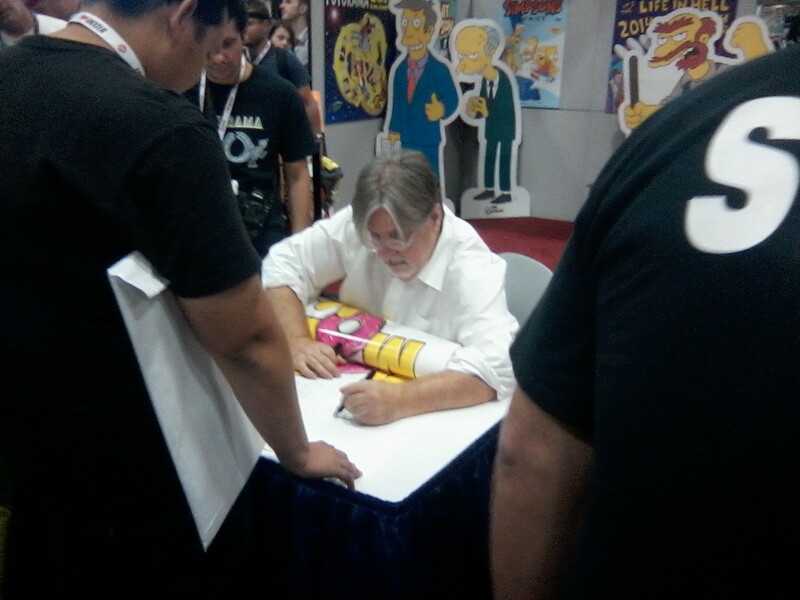 About to return to New York for the first time in several years, but there's just enough time to share my schedule for Comic Con: I'll be signing at the Random House booth (#2205) Friday from 5-6 p.m. and Saturday from 11-noon. Also be sure to check the 47North booth two aisles over at #2022, publishers of my Overdraft book. Follow me on Twitter for updates. And thanks much to the crew at Barnes & Noble in Madison and the local Rebel Legion and 501st outfits for a great Star Wars Reads Day last weekend! It was a great event — thanks to everyone for coming out! 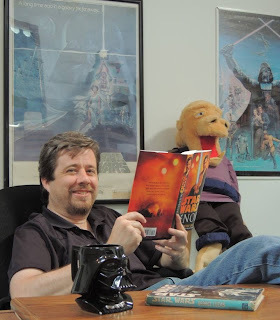 The second Star Wars Reads Day promoting literacy is slated for Saturday, Oct. 5, and I will be participating in one live event and one online one. 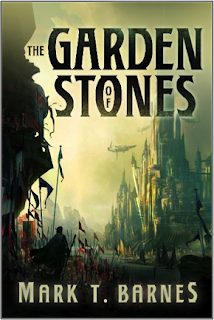 First, you can begin participating now in the Goodreads chat for the day, by joining this group and asking questions. I will be answering questions along with Ryder Windham, Jason Fry, Chris Alexander, Hans Jennsen, Rich Chasemore, and Simon Beecroft. I expect to be answering questions in the morning and then again in the evening following my bookstore event. And that bookstore event is at the Barnes & Noble at West Towne Mall in Madison, Wis.; the address is 7433 Mineral Point Road. Childrens' events will begin at 1, and I'll be speaking and signing at 2. The 501st will be in attendance, so bring your cameras! You can find local events near you here. I have also learned my schedule for New York Comicon: I'll be signing at the Random House booth (#2205) Friday from 5-6 p.m. and Saturday from 11-noon. Follow me on Twitter for updates. There is one more podcast of note: the new Rebel Force Radio both has an interview with Jonathan Davis, narrator of the Kenobi audiobook, and a roundtable on the novel including Obi-Wan voice actor James Arnold Taylor and Erich Schoeneweiss from Del Rey. 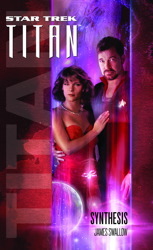 Last update: There's an order page now for the Kindle edition of my Star Trek: Titan - Absent Enemies novella; the tentative release date is Feb. 24. More detail as it becomes available. I am 50 years old. JFK is my birth President. To most of you reading this column, I am ancient. I am Obi-Wan Kenobi shuffling out of the desert. I don’t feel so old, but there you have it. Being of this age, one of things that happened to me was the arrival of the first Star Wars movie. I was 14 years old in the summer of 1977, ready to enter high school (in Canada) and a serious science-fiction nerd. It wasn’t so cool to be a sci-fi nerd then, but Star Wars would do a lot to change that. A steady diet of Star Trek reruns fueled my addiction to that point, along with plenty of books by Asimov, Heinlein, Bradbury, Wells, Verne and LeGuin. Great stuff. But Star Wars blew the lid off. On the weekend that Star Wars opened (it wasn’t a big deal yet) my family was on vacation, driving to a timeshare condo in Florida. I forced my parents to stop, marooning them and my sisters at a mall as I walked across the parking lot to the cinema where the movie was playing. Star Wars was it. It was the perfect science-fiction space opera with effects that blew the mind (and largely still hold up today). I saw the move 36 times in the theater, often sitting through two or three showings in a row with my friends. We would mumble the dialog before the characters said it, annoying other patrons. We developed out own set of dialog and inside jokes so we could make it through yet another viewing of the move. Crazy? Yes. George Lucas owned us. I waited for the next two films with a heightened anticipation which I have rarely felt with any other trilogy except Indiana Jones. Star Wars did not replace Star Trek for me, but rather opened a new door in a different universe. I still hold on tightly to Star Trek, to James T. Kirk and Spock, and that show will always be my first love as far as science fiction television goes. 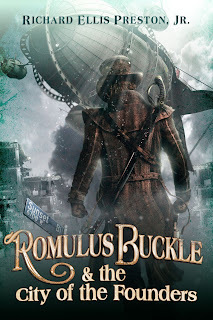 Even today, as I write my steampunk adventure series, The Chronicles of the Pneumatic Zeppelin (RomulusBuckle and the City of the Founders is the first installment), I can feel the influence of Star Trek and Star Wars flowing through my brain goo and oozing into my writing. When one is bred on such stuff dreams are made of it is impossible to escape, I guess. And that’s a good thing. My series follows the bridge crew of a zeppelin with characters you can easily draw Star Trek parallels to, including a somewhat stoic alien. The captain is a swashbuckler, a man created in the time-honored tradition of Errol Flynn’s Robin Hood, Han Solo, and Captain Kirk. All hail the ancient archetypes we find brilliantly reborn in Star Trek and Star Wars. They explore what is best and worst in us. And experiencing that journey through the self is what we read stories for. And write them, too. I’d like to thank John for hosting me here on his blog and if you stuck with this post all the way to the end I thank you too! You can follow my misadventures at http://richardellisprestonjr.com or on Twitter @RichardEPreston. Star Wars: Kenobi wanders into town! The wait is over... Star Wars: Kenobi goes on sale today at your local book retailer and online emporium! James Arnold Taylor reads Kenobi! In an exclusive with Entertainment Weekly, voice actor James Arnold Taylor, who voices Obi-Wan in the Clone War animated series, reads one of the meditations from the new novel. It's a cool clip and I'm delighted he was able to do it. Click here to listen. The World of Kenobi! Readers of Knight Errant and Lost Tribe of the Sith might have noticed my interest in the geography of the various worlds -- we published space sector maps for one and a couple of continental maps for the other. With the assistance of Lucasfilm and DK Press, I provided a map supplement on the official Star Wars blog that depicts all the major locations in Kenobi. 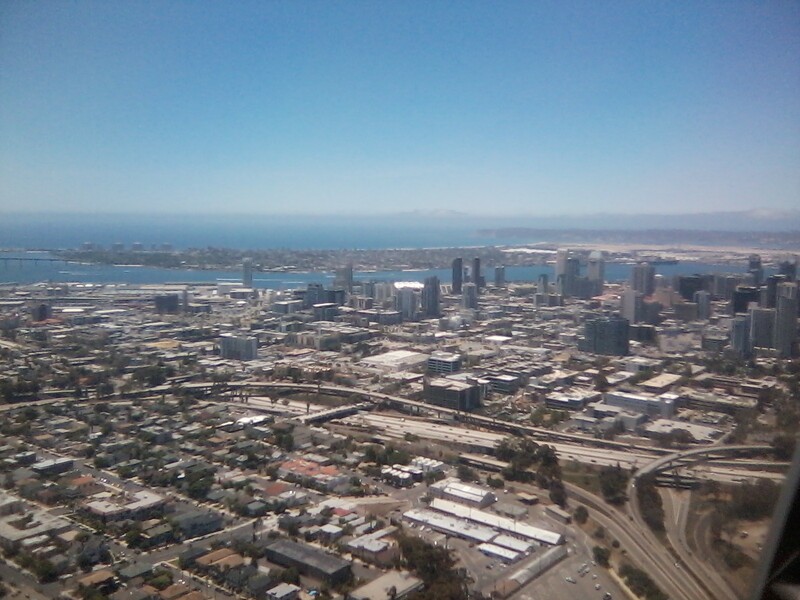 Click to check it out! Interviews! (Updated, 8/27) I don't have the links for everything at hand, but there have been plenty lately. Interviews are up at Mashable, Fangirlblog, ElevenThirtyEight, and TheForce.Net as well as a podcast at Coffee With Kenobi and RoqooDepot. And my Wisconsin Public Radio hour is here. For after you've read the book, more spoiler-y podcasts are up at Tosche Station and Roqoo Depot (part two). That's it. 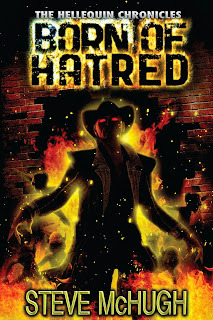 Tonight, the 27th, I'll be appearing at the Booksellers at Laurelwood for the book launch event at 6. See you there! 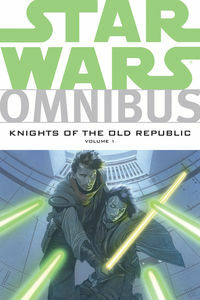 Knights of the Old Republic Omnibus releases -- plus Geek-Kon schedule, and more! Okay, I admit it — I've got a whole bunch going on right now, and it's impacted my ability to blog in any kind of a regular fashion. I just finished work on Star Trek: Titan - Absent Enemies — and went headlong into preparations for the release of Star Wars: Kenobi on August 27. 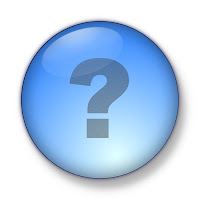 I've already done a half-dozen podcasts, most yet to go online — and there are other events and surprises in the works. KNIGHTS OF THE OLD REPUBLIC, TOGETHER AGAIN! • The Star Wars: Knights of the Old Republic Omnibus Vol. 1 is out today! That collects issues #0 through #18 of the original series in one compact edition. And preorders are already being taken for Volume 2, which contains the second third of the series. That's out in December. You can find Volume 1 now at your local comics shop. • Just as I did with KOTOR on this blog years ago, I have been doing a Kenobi countdown all month on Twitter. Just search for the hashtag #KenobiCountdown and follow me to get the latest news. • I will be on Route 51 on Wisconsin Public Radio on Thursday from 10-11 a.m. You should be able to get the podcast if you're not in the area. • I've launched a Goodreads drawing for several signed copies of Overdraft: The Orion Offensive. t runs until September 17 — be sure to put your name in the hat. • And then on Tuesday, the 27th, Kenobi releases. The release event is slated for The Booksellers at Laurelwood in Memphis, Tennessee at 6 p.m.; that's at 387 Perkins Extended. We will have Krayt Dragon Calls, and the 501st, I am told, will have some representatives there. This doesn't even get into the bunch of interviews, chats, and podcasts soon to go online — and a few surprises I can't mention yet. I'll do my best to get them linked here, but Twitter is usually your best bet to catch that stuff quickly from me. Whew!